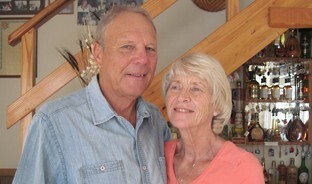 Plettenberg Bay is a premier tourist destination and your hosts, Peter and Lesley, have known the area for three decades and are always on hand to assist with information and advice on all local attractions and activities. Our comfortable and affordable family run guest house is situated in a quiet residential area in close proximity to shops, world class beaches and amenities. You also have easy access to all activities in this prime holiday town.